Cross some names off your gift list all while supporting local business this year. Ready, set, shop: The holiday season starts...now! Find something for everyone on your list, from your boss to your grandparents, at the slew of pop-ups, markets, festivals, and more all across the city. 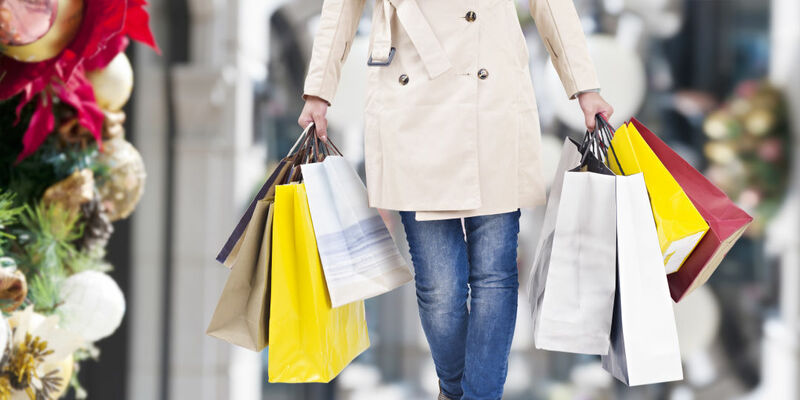 Want to shop local but having trouble keeping them all straight? We're here to help with that. Editor's Note: This guide is regularly updated throughout the season to include new events. 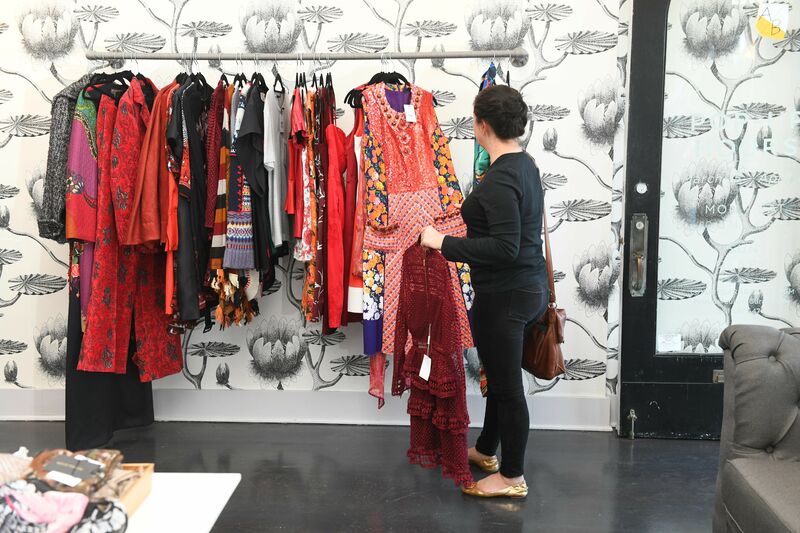 What: The Rice Village women's clothing and accessories boutique is popping up in CityCentre for the holidays with new arrivals daily. When: Monday, October 1 to Monday, December 31; Monday–Saturday from 10 a.m.–7 p.m. and Sunday from noon–6 p.m.
What: Memorial Antiques Interiors says it’s your day to jingle! Join them in the Houston Design Center for more than 20 trunk shows, gift card drawings every hour from 11 a.m. to 2 p.m., light bites, and 20 percent off store-wide regular priced items over $100. What: Cuteheads and Willow Crowns, two of Houston’s most beloved children's brands, are popping up at Luxury Garage Sale in Rice Village. Enjoy breakfast and coffee while you shop for the little ones on your list. When: Thursday, November 8 from 9:30–11:30 a.m.
Where: Luxury Garage Sale, 2528 Amherst St.
What: The Houston Ballet’s annual Nutcracker Market is a tour de force with more than 250 vendors offering everything from gourmet food to holiday décor. What: Shop local at the 29th annual craft show from this Katy church. When: Saturday, November 10 from 9 a.m.–4 p.m.
What: HTX Boss Babes, a community of local artists and female-owned businesses, hosts their annual holiday market celebrating women entrepreneurs and featuring more than 80 vendors. When: Saturday, November 10 from noon–8 p.m.
Where: 8th Wonder Brewery, 2202 Dallas St.
What: Enjoy art and design, from ancient to contemporary, at the 66th annual Theta Charity Antiques Show, where proceeds benefit various local charities. When: Thursday, November 15 to Sunday, November 18 from 10 a.m.–6 p.m.
What: The largest gift market in Katy is back for its 11th year with more than 175 vendors to choose from. When: Friday, November 16 from 1–8 p.m.; Saturday, November 17 from 10 a.m.–6 p.m.; and Sunday, November 18 from 10 a.m.–4 p.m.
What: Powered by Fresh Arts, the 13th annual market kicks off the holiday season with an exclusive ugly sweater-themed preview party and more than 65 established artists selling everything from jewelry to soap. When: Friday, November 16 from 6–10 p.m.; Saturday, November 17 from 11 a.m.–8 p.m.; and Sunday, November 18 from 11 a.m.–4 p.m. Admission: $15 for preview party; free for Fresh Arts members. What: Select your favorite snack and watch A Charlie Brown Christmas and Home Alone on Friday evening, then come back the next morning for breakfast in the park, photo booths, games, and—of course—shopping. When: Friday, November 16 from 5–10 p.m. and Saturday, November 17 from 9 a.m.–7 p.m.
Where: Midtown Park, 2811 Travis Str. What: Grab family and friends and make a day out of this gathering of more than 150 vendors to shop. When: Saturday, November 17 from 10 a.m.–5 p.m.
Where: Berry Center, 8877 Barker Cypress Rd. What: Celebrate friends, art, and brews when vintage curators, local makers, and more set up shop in Karbach's biergarten. 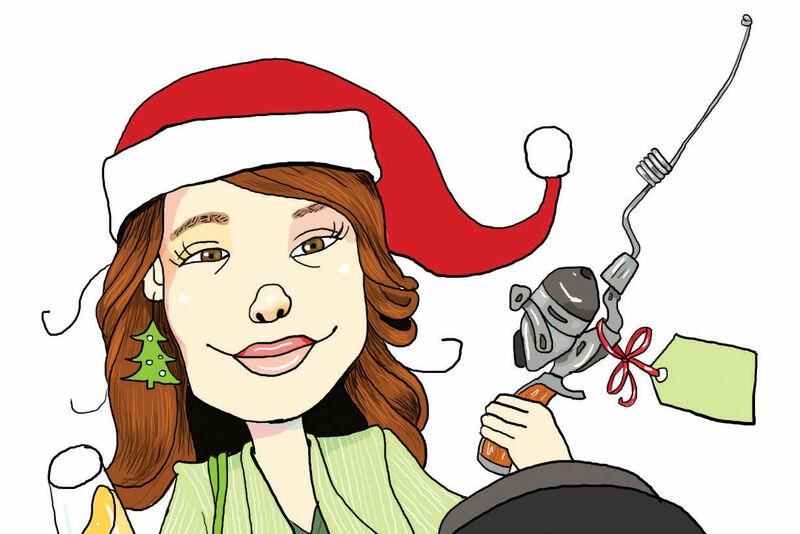 When: Sunday, November 18 from noon–5 p.m.
Where: Karbach Brewing Co., 2032 Karbach St.
What: Fashion illustrator Rongrong DeVoe brings her "chic art for every day life" to River Oaks District for the holidays. When: Wednesday, November 21 to Sunday, December 16 from 11 a.m.–7 p.m.
What: J.W. 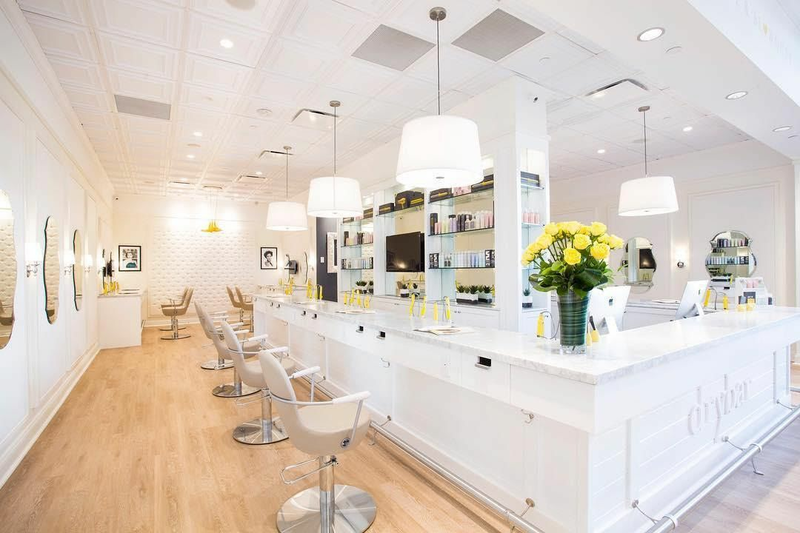 Hair Collection hosts the first annual Black Friday Pop-Up and Pull-Up, a two-day shopping extravaganza with prizes, hourly giveaways, light bites, and the best gift of all—free parking. When: Thursday, November 22 from 6–10 p.m. and Friday, November 23 from 9 a.m.–5 p.m.
Where: ARKA Art Studio, 4715 Main St.
What: Move over Target and Walmart, and say goodbye to rowdy box store crowds and endless lines when Silver Street hosts local artists and designers all Black Friday weekend. Enjoy cocktails from a full bar and various dishes from food trucks, plus find a fur-ever four-legged friend at the pet adoption event. When: Friday, November 23 to Sunday, November 25 from 10 a.m.–5 p.m.
Where: Silver Street, 2000 Edwards St.
What: Zadok Jewelers hosts its annual designer showcase featuring Stephen Webster, Mikimoto, Marco Bicego, Roberto Coin, and Pasquale Bruni. When: Friday, November 30 and Saturday, December 1 from 10 a.m.–6 p.m.
Where: 1749 Post Oak Blvd. Admission: Reserve online or call 713-960-8950. What: Find complimentary yoga, local artisans, a kid’s zone, and the man of the hour himself: Santa. When: Saturday, December 1 from 10 a.m.–2 p.m.
What: AG Antiques hosts an outdoor market in the Heights, where you can shop handmade artisan goods while sipping mimosas. When: Saturday, December 1 from 10 a.m.–5 p.m.
Where: The Heights, 313 W. 19th St.
What: Pop Shop America and Downtown Houston present a day full of local artisans, live music, hot chocolate bar, mimosas and crafts. What: Katy Market Day is bringing 50,000 pounds of snow to this 9th annual festival in downtown Katy. Get in line to take your picture with Santa and make snow angels in the snow park, shop antiques and crafts while listening to carolers, or relax in No Label Brewing Co’s beer garden. What: German for "holiday market," City Acre's annual Weihnachtsmarkt is back with plenty of shopping, snacking, and sipping. When: Saturday, December 1 from 11 a.m.–5 p.m.
Where: City Acre Brewing Co., 3418 Topping St.
What: Find vintage goods, antiques, and handmade holiday gifts for all. When: Saturday, December 1 from noon–5 p.m.
What: The first 10 shoppers to spend $100 at the Rice Village District store-of-the-day will receive a $40 gift card to that store. Guests can also nominate a deserving community member to win a $40 gift card valid to all 12 participating stores by emailing Pamela Vargas at pvargas@trademarkproperty.com. Where: Rice Village District (2365 Rice Blvd.) 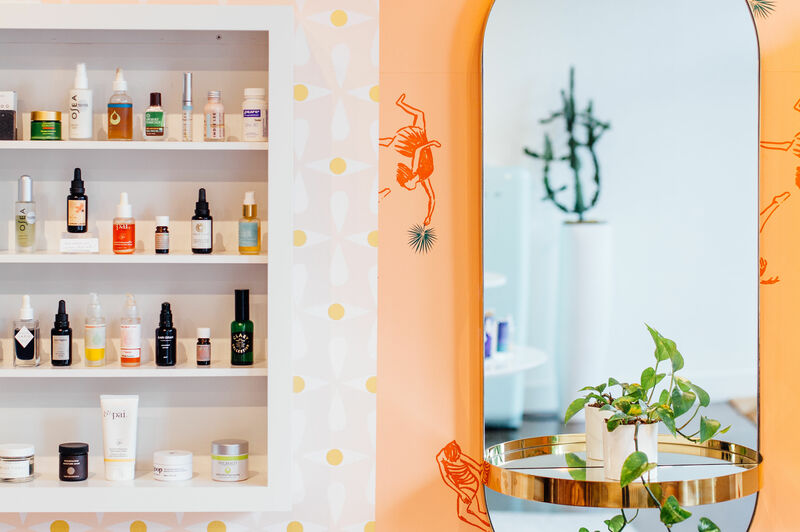 participating stores, in order by day: Altar'd State, Origins, Loft, Susie Cakes, Blue Mercury, Kendra Scott, Warby Parker, Everything But Water, Drybar, Lily Rain, Sugarfina, and Clique Salon. What: Enjoy live music, cocktails, snow (! ), and in-store festivities from your favorite Heights shops like Emerson Rose, Manready Mercantile, and more. When: Friday, December 7 from 6–10 p.m.
What: Enjoy a Holler beer while shopping handmade jewelry, produce, vintage, and vegan bath and body products from various local vendors. Where: Holler Brewing Co., 2206 Edwards St.
What: Fine jewelry designer Simon G. comes to Robbins Brothers' Galleria location for two days only to showcase his latest and most popular collections of engagement rings, wedding bands, and fashion jewelry. Customers can take advantage of special financing and gift card offers, receive a silver gemstone pendant with any Simon G. purchase, and meet the designer himself, who will answer questions on everything from ring recommendations to proposal ideas. When: Friday, December 7 from 10 a.m.–8 p.m. and Saturday, December 8 from 10 a.m.–7 p.m.
Where: Robbins Brothers, 2101 West Loop S.
Admission: Free; reserve your spot online or call 713-961-0011. What: A special holiday pop-up exhibition featuring small artwork (priced at $500 or less) and limited edition collectibles, design objects, and wearable art by Cindy Lisica Gallery artists, plus one-of-a-kind, reimagined Japanese vintage kimonos from Kimono Zulu and collaborations with multimedia artists and fashion designers like Shelbi Nicole, Judy Masliyah, and more. There will also be a kimono giveaway on both days. Admission: Free; register online to be entered to win a kimono valued at $150. Winners will be announced at 7 p.m. Friday and 3 p.m. Saturday and must be present to win. What: Head to Tomball for a petting zoo, carnival, pony rides, and shopping from more than 200 vendors. When: Friday, December 7 and Saturday, December 8 from 7–10 p.m.; Sunday, December 9 from 10 a.m.–6 p.m.
What: This one-day holiday market features all things moms and their little ones. Ten percent of sales benefit A 2nd Cup and its mission to end human trafficking. When: Saturday, December 8 from 9 a.m.–6 p.m.
Where: A 2nd Cup, 1111 E. 11th St.
What: This family-friendly event brings more than 65 vendors, food trucks, and Santa to Katy. When: Saturday, December 8 from 10 a.m.–5 p.m.
What: The 14th annual Heights Holiday Market features specialty coffee, baked goods, home décor, and handmade accessories. When: Saturday, December 8 from 11 a.m.–5 p.m.
What: Sip an ice cold Saint Arnold and find your perfect ugly Christmas sweater for that upcoming party, plus plenty more from local vendors. 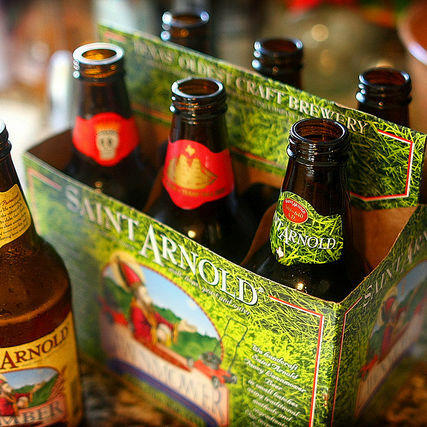 When: Sunday, December 9 from 11 a.m.–4 p.m.
Where: Saint Arnold Brewing Company, 2000 Lyons Ave.
What: The Brunch! Official hosts its holiday mixer and market with an interactive photobooth, photos with Santa, holiday treats, and an ugly Christmas sweater contest. When: Sunday, December 9 from 2–6 p.m.
Where: Spring Street Beer & Wine Garden, 1920 Houston Ave.
What: What do you get when a jewelry designer, a vintage boutique owner, a marketer, and a management consultant unite for holiday shopping? The first annual Artist Holiday Pop-Up for two weeks this December, featuring more than 40 vendors offering everything from home décor to fine art and clothing. When: Thursday, December 13–Monday, December 24; Monday–Friday, 11 a.m.–7 p.m.; Saturday and Sunday, 10 a.m.–7 p.m.; Christmas Eve, 10 a.m.–4 p.m.
Where: 4715 S. Main St.
What: Shop local at the first annual holiday market from this trendy Heights mixed-use development, home to faves like Saint Lo, Favor the Kind, The Impeccable Pig, and Lemon Laine. When: Saturday, December 15 from 11 a.m.–6 p.m.
Where: Heights Mercantile, 711 Heights Blvd. 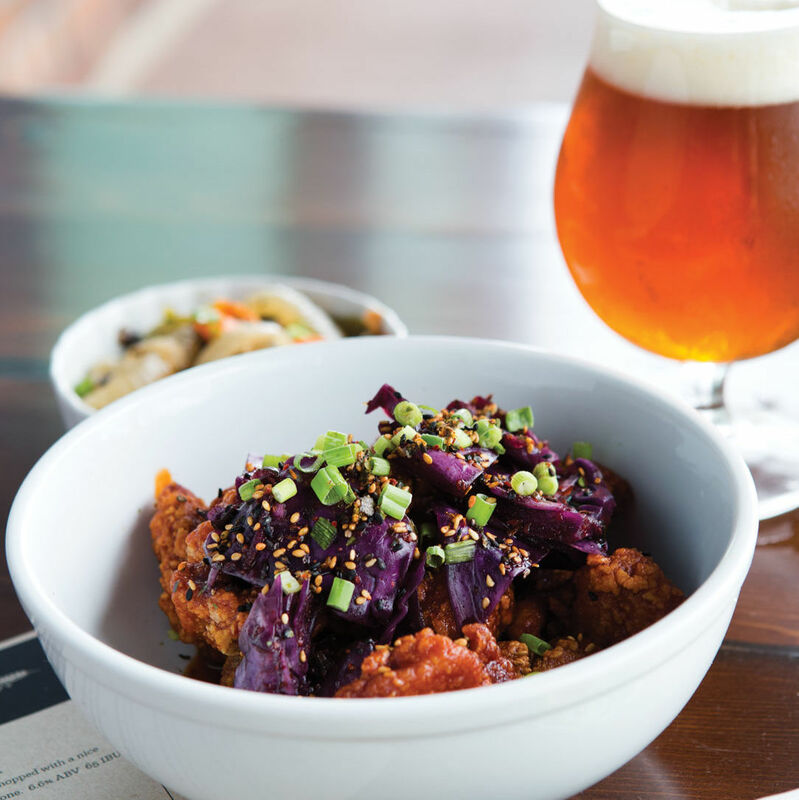 What: Crack open a cold brew—Karbach, of course—while you shop in the biergarten. Be sure to bring a chair for the post-shopping screening of the favorite holiday classic. When: Sunday, December 16 from noon–5 p.m.
Women’s Apparel 642 Yale St.